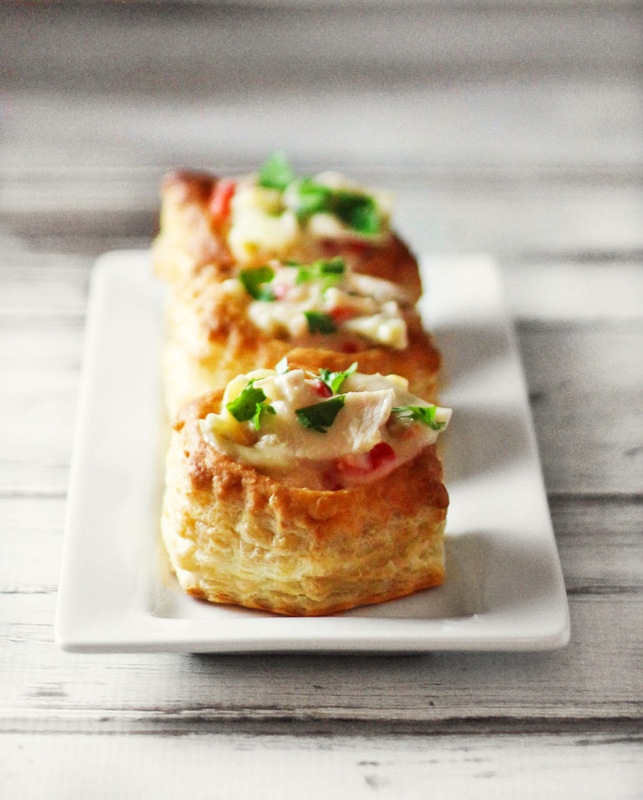 It is the time of year for Mother’s Day, wedding showers, and afternoon teas, luncheons, and brunches and this Hot Chicken Salad in Puff Pastry recipe is just perfect for those events. It is pretty easy to make, pretty to look at, and full of spring flavors. And, it is even quick, if you have leftover chicken. I have not made something like this in years – as in maybe 15 years. This recipe is an adaptation of a concoction I came up with way back then – when I still put canned soup in recipes on a regular bases. No canned soup here, though. I did leave in the mayonnaise because, well chicken salad is supposed to have mayonnaise in it, right? I used light mayonnaise and less of it though. And, you know what, it is even better than the original. Remove from heat and stir in flour until smooth. Slowly stir in broth until smooth. Return to heat, and bring to a boil. Boil stirring constantly for 1 - 2 minutes or until thickened. Cook stirring frequently over medium low heat until very thick - about 15 minutes. 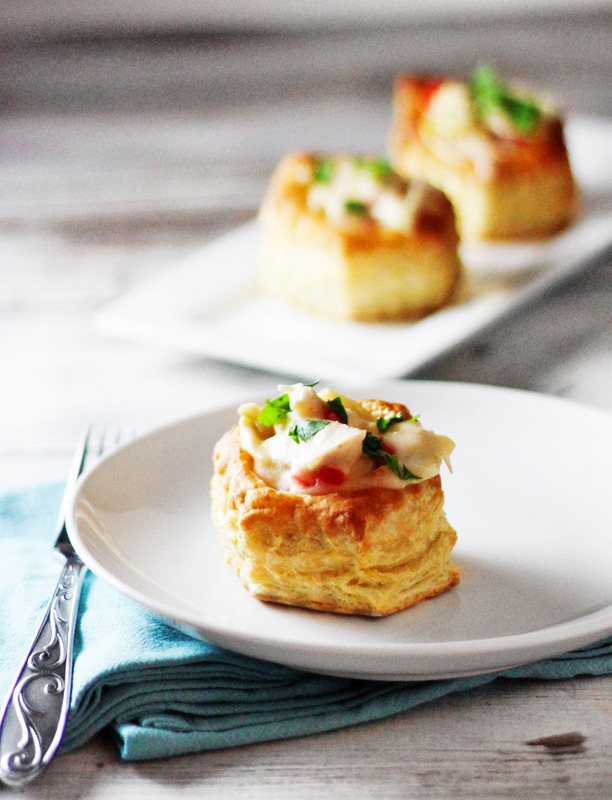 Spoon chicken into puff pastry shells, garnish with parsley and serve immediately. You will probably have a little of the chicken mixture left over, so you can cook more pastry shells if you want, but it won't be enough for another whole package. 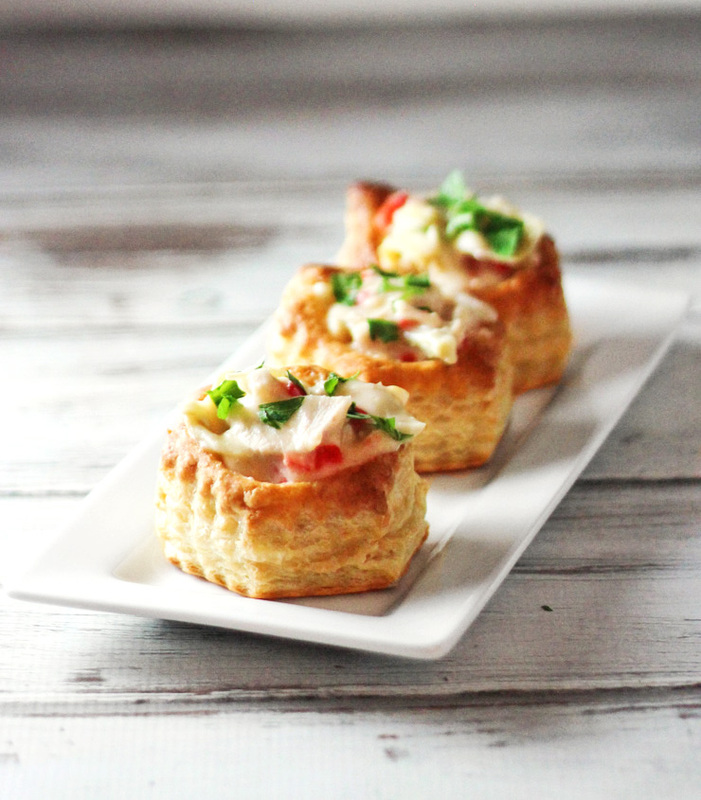 What beautiful little hor d’oeurves… you have captured them perfectly!